Hello Friends. This blog was actually meant for February, the month of love, flowers, chocolate and Valentine wishes. But because life is busy and I’m a bit of a procrastinator, my February blog was not to be. However, matters of the heart are relevant every day. It can also be a time of reflections of the heart. Who is special to you? Who has been your rock in hard times? Who laughs at your jokes even when they aren’t funny? Who accepts you as you are and loves you anyway? Who always has tissues in her purse when you see a sad movie? Who eats peanut butter cups with you on your cheat day? Who loves your kids when they’re not so lovable? Who is okay with you singing the wrong lyrics to your favorite songs? Who do you call after watching “This Is Us”? Who mourns the loss of your beloved pet with you? Who always takes your side ….no questions asked? Who always knows the right thing to say? Who knows Sunday afternoons are hard for you? Who comes to your dog’s birthday party? Who is your champion in your absence? I’m pretty sure at least one of these strikes a chord with you. Life is precious. Life is too short not to have that special someone. Life is too long not to have that special someone. Just yesterday, we were reminded of such a love. A dear, elderly customer came in to let us know her husband of 68 years had passed. Her life and her days are forever changed. Her faded blue eyes filled with tears as she told us the news. But stoic and strong, the tears did not fall. Her smile is intact, but her heart is broken, not sure it will ever mend. From her sassy handbag, she pulls a photo, worn and dog-eared from much handling. It’s of her love from World War II, when he was a young pilot. He flew frequently to England where he met the love of his life. What a beautiful and dapper couple they must have been! Her heart may be broken, but her spirit lives on in her service to others. Love is powerful. We love what we do here at Ambiance Boutique. We hope we make a small difference in this world of turmoil. Take a break from the craziness and refresh your heart. 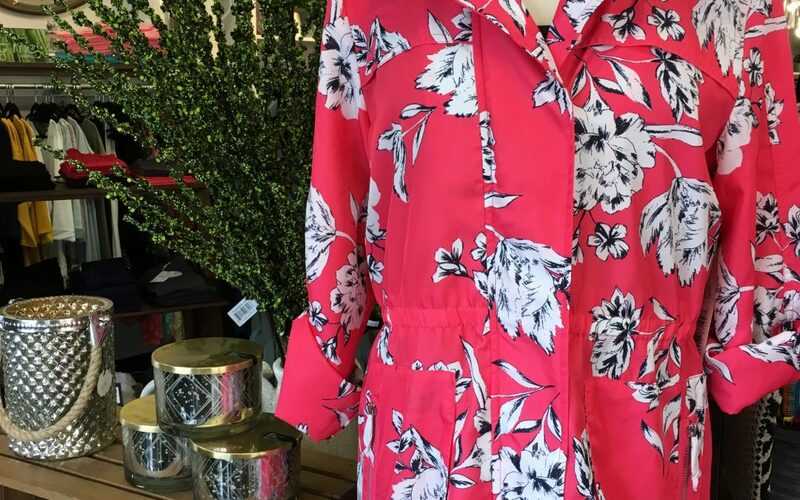 Let us show you what’s new for spring at Ambiance Boutique. Can’t wait to see your beautiful faces.